Think of the number one billion. A billion of just about anything is a lot - people, bananas, cars, pints of novelty ice cream flavors. According to a report published by market research firm Strategy Analytics, the number of Android powered smartphones shipped last year was approximately one billion, forty-one million, seven hundred thousand (give or take a few tractor-trailers worth). That's about one Android phone for every seven people on the planet, not counting tablets, set-top boxes, and other Android-powered devices. The one billion figure is an increase of about one third over 2013, and with a total smartphone market of 1.3 billion shipped devices, Android dominates with an estimated 81.2% marketshare. Apple's iPhone is a distant second with 15% of the market, followed by Windows Phone with 3%. The rest of the market, including BlackBerry and older operating systems, makes up just .7%. More detailed information is behind the research firm's paywall. Even without the detailed breakdown, it's safe to say that Android's continued competition at the high end of the technical spectrum and expansion into huge and relatively untapped markets like China, India, and Brazil is helping to keep the open source operating system on top. Strategy Analytics didn't break down the shipments by manufacturer, but the third-quarter 2014 numbers from IDC put Samsung on top with 78.1 million phones, Apple in second place with 39.3 million, followed by Xiaomi, Lenovo, and LG at around 17 million each. BOSTON, Jan. 29, 2015 /PRNewswire/ -- According to the latest research from Strategy Analytics, global smartphone shipments grew 30 percent annually to reach a record 1.3 billion units in 2014. Android accounted for 81 percent of all smartphones last year and shipped over 1 billion units worldwide for the first time ever. Linda Sui, Director at Strategy Analytics, said, "Global smartphone shipments grew 30 percent annually from 1.0 billion units in 2013 to a record 1.3 billion in 2014. Emerging markets, such as China and Indonesia, drove the industry's growth last year and they will continue to do so through 2015." Neil Mawston, Executive Director at Strategy Analytics, added, "Android shipped 1.0 billion smartphones worldwide in 2014, rising from 0.8 billion units in 2013. Android has become the first ever smartphone operating system to ship more than 1 billion units in a single year. 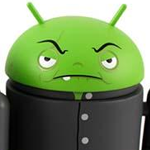 Android accounted for a huge 81 percent share of all smartphones shipped globally in 2014, and Apple iOS remains its only serious threat for now. Apple iOS shipped 192.7 million smartphones worldwide in 2014, capturing 15 percent share. The new iPhone 6 and 6 Plus models have recently re-energized Apple's growth and their bigger-screen designs have swiftly gained traction among wealthy consumers." Woody Oh, Director at Strategy Analytics, added, "Microsoft shipped 38.8 million smartphones for a relatively niche 3 percent marketshare worldwide in 2014. Microsoft's Windows platform dominates PCs, but it continues to struggle in smartphones. Microsoft still lacks multiple major hardware partners to build its phones, while Microsoft's retail presence in important countries like Chinaremains tiny." The full report, Android Shipped 1 Billion Smartphones Worldwide in 2014, is published by the Strategy Analytics Wireless Smartphone Strategies (WSS) service, details of which can be found here: http://tinyurl.com/9djv7u8. Microsoft Invests Some Of Its Millions Into Cyanogen Inc.